Homemade, delicous jam made with fresh, local fruits & berries. 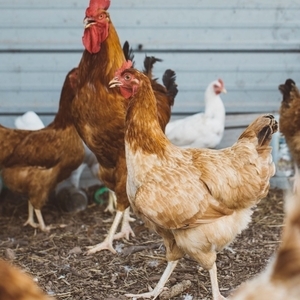 All of the benefits from owning chickens, with none of the drawbacks. I sell my products and services at farmers markets and local farmstands. I've been making my own jam since I was 11 years old. I love the intense burst of flavor you get from really good jam. It just tastes so fresh, so irresistible. It tastes so real. Even in the middle of winter, I can open a jar of my jam and experience the mouthwatering taste of fresh peaches or strawberries. When I was younger, I used to enter my jams in the Middlesex 4-H fair (and win! ), and friends used to ask me for jars of it after the fair was over. "This tastes incredible!" they'd say; "you know, you should really sell this stuff." So... now I do! 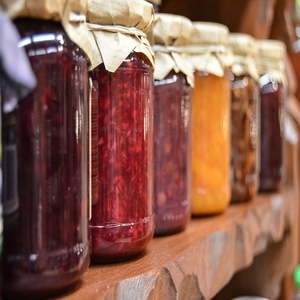 Over the years I've perfected both the craft of jam-making, and also a wide selection of unique and delicious gourmet recipes. So put an extra jar away until winter. Your soul will thank you for it. I make my jam by hand in my hometown of Westford, Massachusetts. I make test batches, adjusting each recipe until everything is just right, and then commit to a full batch once the balance of flavor is perfect. The berries used in my jam are sourced fresh from local farmers. 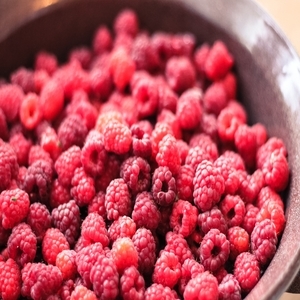 My berries have no added preservatives, keeping my jam delicous and high-quality. If you are interested in comissioning a batch of a custom flavor, please contact me. I'm sure we can figure something out! 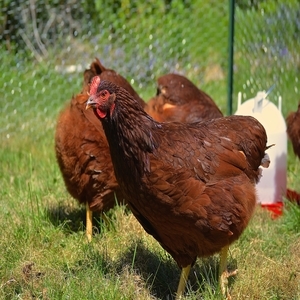 Do you want to have a couple of chickens in your backyard, but want a shortcut to get started? Rent chickens and a coop from me! Imagine having farm-fresh eggs in the morning, right from your own backyard chickens. Chickens are super easy to take care of when I do the hard work of getting you started. I'll deliver everything you need, and you can just enjoy the fresh eggs and delightful company of a pair of friendly hens. And when the weather turns cold again, I'll come and pick them up for the winter! 2 egg-laying chickens, a sturdy and portable coop, feed, and water, delivered to your yard for only $250 per season. A season is May-September, giving you a full 5 months per rental. And at the end of October when the cold weather hits, I come pick up your coop and chickens, with no hassle required. "Can I really take care of chickens myself?" My rental period ends once it gets cold, which is when owning chickens becomes much more work-intensive. Instead, I provide chickens during the warm, relaxing summer months. Contact me to discuss when you want your own chickens. I have a limited supply of coops & hens, so be sure to contact me soon! Email me directly at zoe@chickadeefarm.us. Every other Sunday, I travel to Winthrop farmer's market, in Winthrop, MA, to sell jam and sign up customers for my chicken coop rentals. I also sell jam at Springdell Farm's farmstand, in Littleton, MA. You can reach me through email at zoe@chickadeefarm.us.